Welcome to the AdaptWest Climate Adaptation Data Portal! AdaptWest is a spatial database designed to help land management agencies and other organizations implement strategies that promote resilience, protect biodiversity, and conserve and enhance the adaptation potential of natural systems in the face of a changing climate. 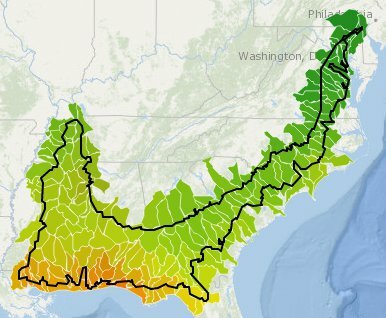 Explore and summarize current and projected future climate data for North American ecoregions and LCCs at the watershed level. 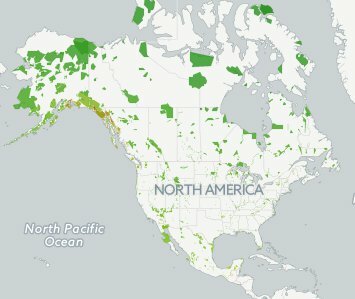 Explore and summarize current and projected future climate data for North America's national parks and other protected areas. 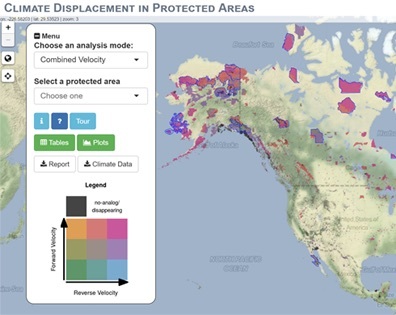 Generate maps and reports on climate trends and displacement in North American protected areas.